On Veterans Day, I would just like to say "thank you" to all of the men and women who are currently serving and who have served our country. I am grateful for the love you have for our country. The work you do and the sacrifices you make do not go unnoticed. I'm also thankful for the strength of the families you leave behind when you are called to duty. 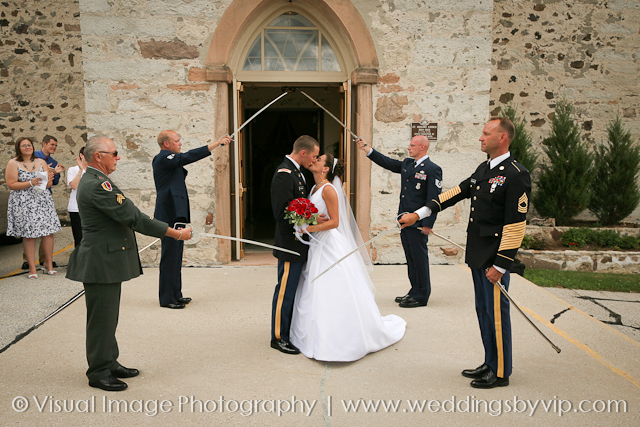 This photograph is from an amazing couple, Jesse and Meghan. They were married before he was deployed to Afghanistan. When Jesse returned to the states, Bob Cavallo and I photographed their "second wedding" in Manitowoc. Right before Jesse started a second tour of duty in Iraq. It's that kind of selfless service that make the people in our armed forces so amazing! Thank you, thank you, thank you!